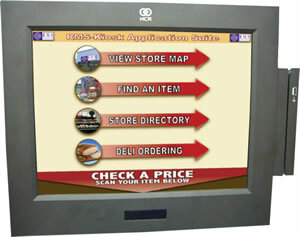 RMS-Kiosk™ offers a complete multimedia kiosk solution for busy supermarkets, retail outlets and C-Stores. RMS-Kiosk is quickly customized with your pictures, marketing information and sound files, giving the product a unique look with the features you want. NEW: RMS-Kiosk allows you to create your own data interface following the RMS-XML specifications. 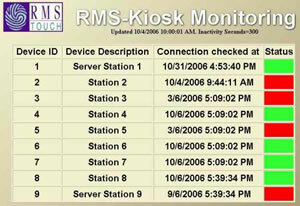 RMS-Kiosk is a web based application running under the Microsoft .NET framework. For multi kiosk deployment, kiosks can be monitored from Corporate. 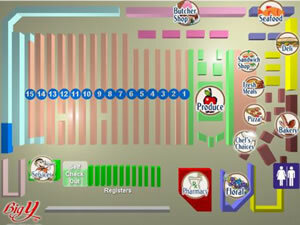 Text messages or E-Mails are sent in the event of kiosk inactivity.